Internet-of-things (IoT) is a concept that’s got many industries excited, promising innovative new inroads towards tracking both human and non-human touchpoints – and then extracting tactical business insight from it all. But keeping tabs on an entire “internet” of devices isn’t exactly realistic for IT teams in their current state. At least, not without the help of AI. Open up this quick guide to read through a collection of Internet of Things scenarios and challenges. 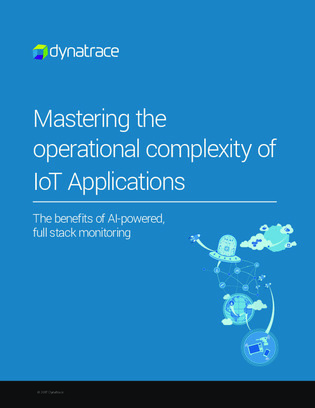 Inside, you’ll also discover the implications of introducing AI into full-stack monitoring – and how it can help transcend the typical problems of complexity that plague IoT deployments.